Continental Cargo is owned by the Forest River Company, and they have been building great quality trailers for many years. We are happy to sell and service their products since we opened over 6 years ago! There have been numerous improvements made in that time frame. 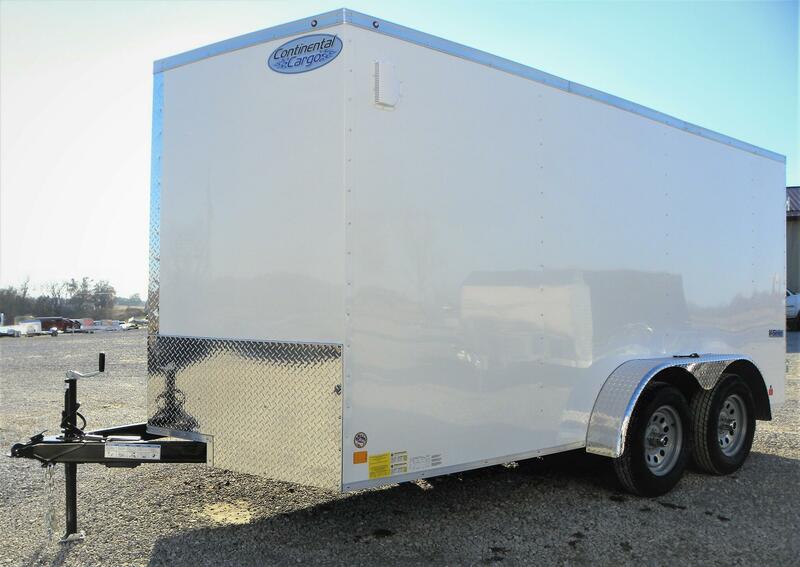 The Elite and Auto Plus model trailers now come standard with aluminum wheels, and a white vinyl lined ceiling. All models come with 3/8" plywood lining on the walls, and 3/4" plywood on the floor, undercoating, radial tires, LED lights, one piece aluminum roof, and .030" thickness exterior aluminum sheeting. We find the trailers to offer a great value to our customers, and they are very custom order friendly. 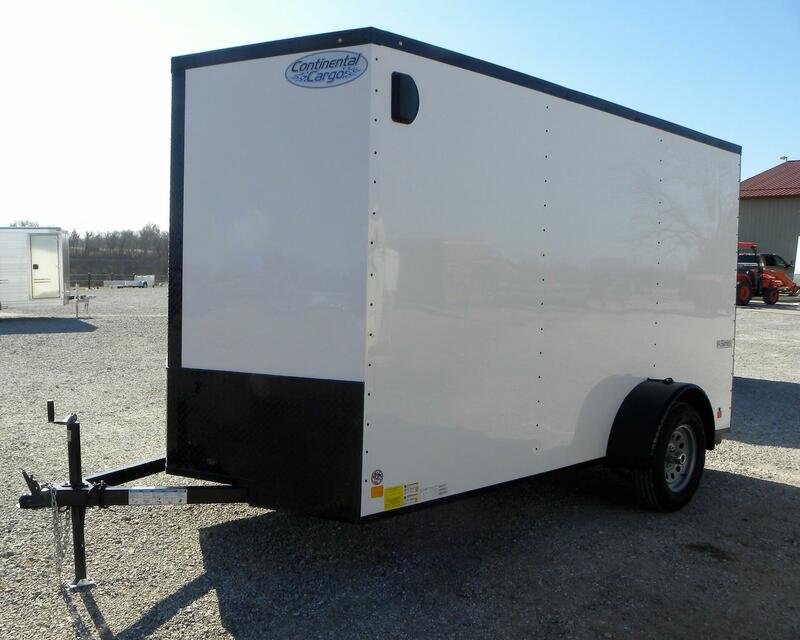 Continental Cargo has the ability to build a 4x6 trailer to a 50' double stacker gooseneck or 5th wheel trailer. 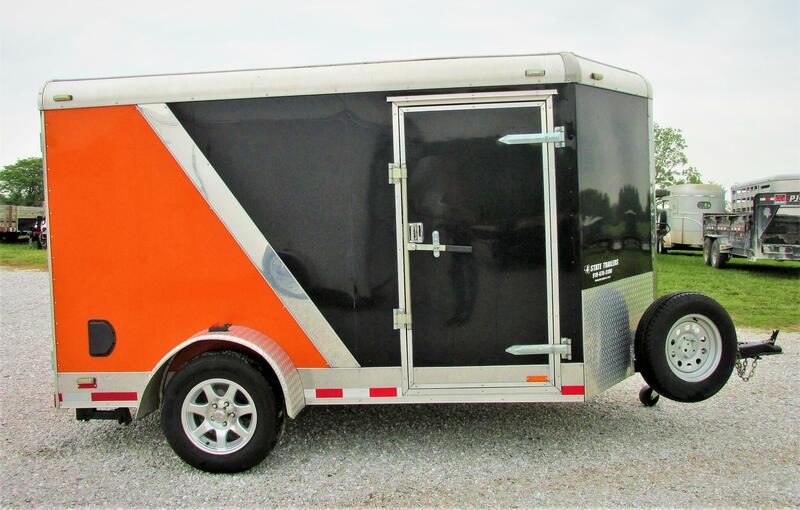 The wide range of capability and the consistent quality that we find them to have combines to make an outstanding company to partner with in bringing the best steel frame/aluminum skin cargo trailers to our customers at affordable prices! 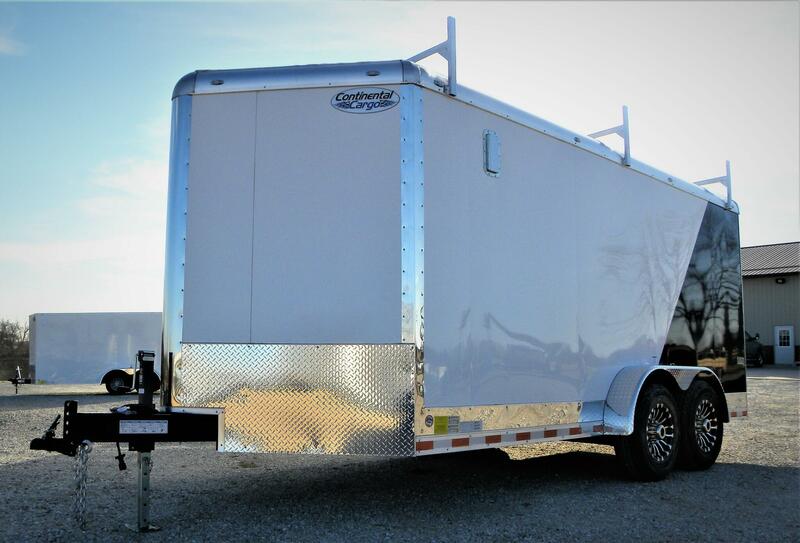 Continental builds great quality trailers, and stands behind them with a 3 year warranty. * Please click on the Continental Cargo logo below to visit their website! * Except V- Series models which have a 1 year warranty.